Danny returned from MCM London this week with a bunch of new games. 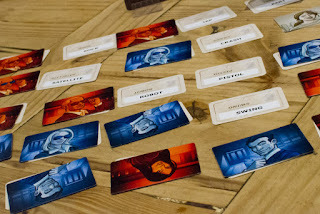 Eight Minute Empire, Time Stories and Codenames. I don't think Time Stories got a play but Eight Minute Empire certainly did. Ever since GenCon this year people have been going crazy about Codenames. To me it sounded kinda like an average word association game. But people had been saying that's exactly how they felt until they played it. So I played it. It played exactly how I expected, an average word association game. I ditched out after a single round but others kept on playing. I'll probably give it another go at some point, I can't make a real judgement at this point. I still think Spyfall is the king of party games. Especially spy related party games. Alex finally got to play Takenoko but Gemma beat us all by miles. 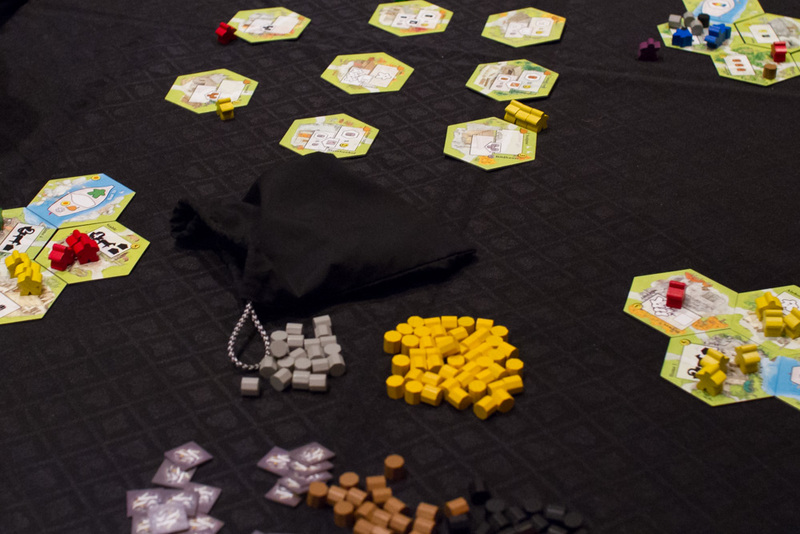 I played The Bloody Inn and No Thanks along with a couple of games of For Sale. Mike came armed with Mexica, a reprint of a classic Kramer and Kiesling game. One of Mike's friend has started a company reprinting classic Euro games and this is their first release. To be honest, they've pretty much nailed it. It looks amazing and the components are second to none. It's a pretty rare pressing though with something like only 144 copies being brought to the UK. Apparently there's a lot of screwing people over in the game. Dan must be ruining some friendships because he won, beating Phillip by a single point. I also saw games of Keyflower, One Night Revolution and Seven Dragons being played.